What do you think is the best way to save the lives of people despite living in a corrupt political system? We all know we all live in a world built with diverse institutions. But despite the diversity, they all have one in common, a corrupted political system. Acknowledging the presence of pollution in our system brings a good and bad impact in our lives. This shows how poor our system is leading to a poor life for the citizens, but also this helps us realize the flaws within our system helping us to make better decisions. 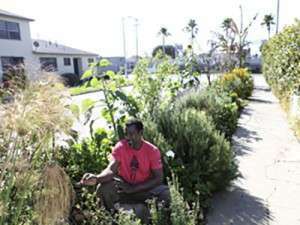 The most effective change-makers in our society aren’t waiting around for a new president to make their lives better, they’re planting seeds, quite literally, and through the revolutionary act of gardening, they’re rebuilding their communities while growing their own independence. Every four years when the big election comes around, millions of people put their passion for creating a better world into an increasingly corrupt and absurd political contest. What if that energy was instead invested in something worthwhile, something that directly and immediately improved life, community, and the world at large? The simple act of growing our own food directly challenges the control matrix in many authentic ways, which is why some of the most forward-thinking and strongest-willed people are picking up shovels and defiantly starting gardens. It has become much more of a meaningful political statement than supporting political parties and candidates. 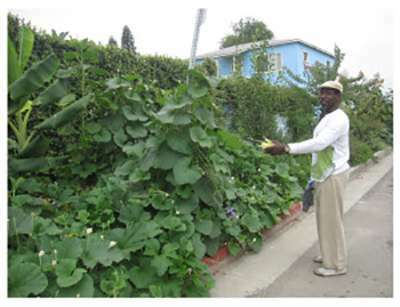 Take, for example, Ron Finley, the ‘Guerrilla Gardener’ from Los Angeles who inspires the world with no-nonsense truth about how the corporate food system enslaves us, while proving to us that the most effective weapon in this fight is fertile soil. He makes growing veggies cool again, as it should be, because food sovereignty is the very foundation of personal independence. When united, awareness and action create the kind of changes that a rigid control system cannot tolerate, and when extraordinary people like Ron Finley take the lead, a meaningful movement can take hold. This is real action, it is very effective, and as it becomes more mainstream to set up gardens in your yard and on your block, we will witness the re-emergence of the kind of society we just cannot create by playing by the rules of a rigged system. Just a few generations ago, gardening for sustenance was not the fringe activity that it has become in recent decades, because it was a basic daily act of survival. One that will rise again as a controlled economy and engineered economic collapse will make it imperative to join forces with your community and defend your personal sovereignty. What happens when you transform yourself by deepening your connection to nature?What happens when you then transform your community by bringing your neighbors together in the goal of providing something of immense value to all? What happens then when a nation of transformed communities sees their world without the boundaries of and limitations imposed on us by a corrupt system? The four-year cycle of presidential politics in the US is far more effective at stealing the constructive energy of motivated people than it is at bringing about meaningful change to our lives, communities and to the nation as a whole. Time to try something far more effective and rewarding. Let’s overgrow the system, and transform our health and communities in the process. 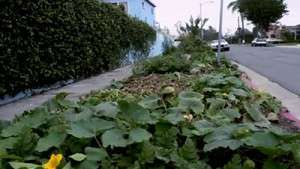 For a sign that this movement is spreading across the nation, check out this homegrown music video, ‘Gardening is Gangsta,’ by Mark Jankins and Sifu Paul Davis. I don’t rely on new food stamps. Cuz’ every season got me harvesting some new plants. Cancer Didn't Stop This Inspiring Cancer Patient From Achieving THIS!